Portions of Libertyville Sports Complex Could Be Sold Off ! 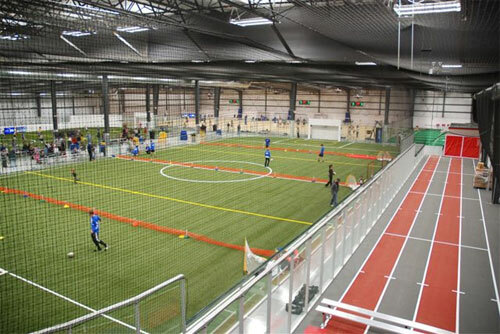 A decade after the initial offering, portions of the Libertyville Sports Complex in IL. at Route 45 and Peterson Road could be for sale again soon. Village officials have designated the areas occupied by a driving range and mini-golf course as surplus property – as required to sell public land – and intend to sell all or portions to reduce the annual $800,000 debt not covered by revenues from the operation. But action on an agreement to list the property with a real estate firm was tabled Tuesday because a proposal for a part of the site was received just hours before the scheduled vote. If the listing pact were approved, the village would be liable for a 2 percent commission even though no work had been done on its behalf, Mayor Terry Weppler said. “We don’t know if this is a legitimate offer or not,” he said of the late-arriving proposal. The village staff is reviewing the validity of a suggestion to use some of the golf tee boxes. Village Administrator Chris Clark described it as a test for a “high-end driving range concept” that would be privately run but complementary to the existing setup. “We have to see if that makes sense for Libertyville or not,” he said. 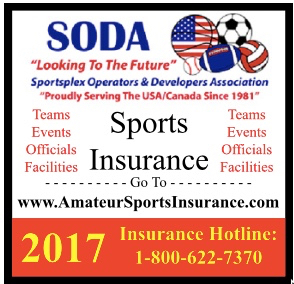 In any case, officials have decided to divest rather than invest in portions of the sports complex, a holding that was supposed to pay for itself but never has. The listing agreement sets the initial asking price at $12.5 million. The village listed the properties in 2007 and accepted an offer for the family entertainment portion, but the plan fizzled. Subsequent offers were far below the perceived value and the properties eventually were taken off the market, but the debt issue remains. The village borrowed $25 million in two bond issues to buy the land and build the sports complex, which opened in June 2002. About $16 million of that debt remains. Principal and interest amount to $1.45 million each year, but revenue from the operation is about $800,000 short, and funds are transferred to cover the gap. Those bond issues were refinanced a few years ago and don’t expire until 2027 and 2032. “The contingency plan was if it doesn’t work, we can always sell the land,” said Trustee Rich Moras, who chairs the board’s finance committee. The sports complex is compose of the Golf Learning Center (driving range and facilities), the Family Entertainment Center (leased by Aloha Falls LLC for mini-golf and a game center) and the Indoor Sports Center, which includes athletic courts and fields, a fitness center and other amenities. BEACON Ballfields Weekly Field Tips ! 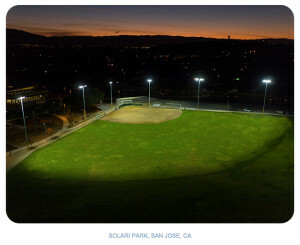 Remember to visit Ballfields.com frequently for tips & articles and GroundskeeperU.com for online training. This is not your father’s tamp. No more swollen hands and aching back. It’s the classic groundskeeper’s tamp, reinvented. Interchangeable tamp heads give you up to 4 tamps in 1. Exclusive SweetSpot Field Tamp System: use sweet10 during checkout (offer valid thru Feb. 5). Designed to penetrate compacted soil for overseeding wear areas on your field. Exclusive Deluxe Overseed Enhancing Tool: use over10 during checkout (offer valid thru Feb. 5). Be sure you have a copy of The Ultimate Ballfield Resource: The 2017 Beacon Catalog. Have you received your copy? If not, request your copy today. Our 2017 catalog is our complete listing of products to get you ready for the upcoming season. Now is the time for GROUNDSKEEPER U ! A Playground for (All) the Ages ! These days, many of us are living longer. And longer lives means more seniors to serve in our communities, and a broader range of active ages and interests and abilities to engage. To this end, the most innovative communities are not just adding facilities for older adults, they’re thinking critically about how to serve the spectrum of their populations together. Perhaps you’ve seen the news reports about communities that have put childcare centers under the same roof with nursing homes—and reaped tremendous benefits, enhancing the lives of both groups. “The idea is to create and sustain public spaces that are free and available to people of all ages and abilities, and to promote healthy, active recreation,” said Tracy McGinnis, director of philanthropy for Southminster retirement community in Charlotte, N.C. Southminster recently partnered with Mecklenburg County Parks and Recreation and funded an all-ages playground, which is located near both a community recreation center and a senior center. Nursing home-childcare combos might be one way to do this, but another great way (that’s more in our area of focus) is multigenerational playgrounds. Since Southminster helped create the playground at Marion Diehl Park, there’s been “unprecedented activity” there, McGinnis said. Senior adults, families and children are playing at all times of the day and all days of the week. Sound like something your community could benefit from? Read on to learn more! What Is a Multigenerational Playground ? One possibility for setting up a multigenerational playground is to offer assorted equipment geared toward a variety of ages and abilities. Traditional playground equipment is already designed for specific children’s age groups, and to engage children with a variety of different abilities, so it’s just the adults that may require some extra thought. However, more and more types of outdoor fitness equipment are available to choose from, and many companies have realized that adults like to play, too, so there are activity stations available that provide a workout as well as opportunities for socialization and fun. Many communities report positive feedback from outdoor fitness stations set up along a walking/running path that encircles a playground for kids. That way parents can exercise or stroll and children can play while everyone keeps an eye on each other and spends time together. 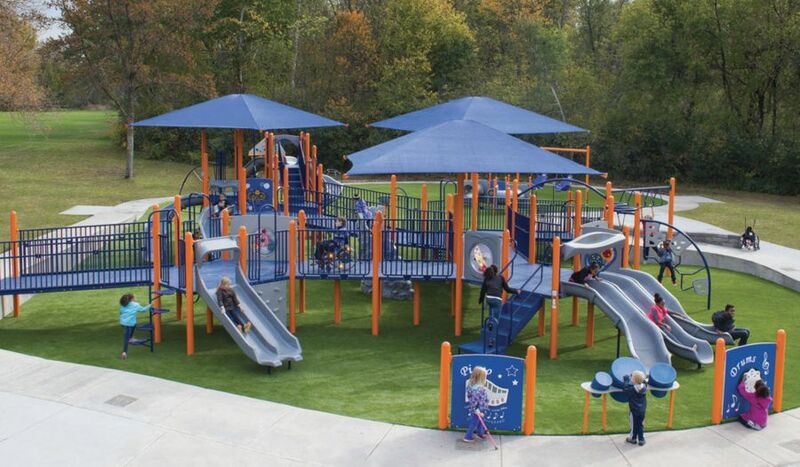 Another way to achieve multigenerational appeal is to add an innovative playground for children to a larger complex that already caters to youth and adults with amenities like sports fields and courts or outdoor trails. This type of project is currently nearing completion in Winter Park, Colo., at the Fraser Valley Sports Complex. Between the ice rink, community garden, pond, baseball and soccer fields, and hot air balloon rides, the complex already has around 75,000 visitors a year, reported Scott Ledin, parks and recreation director for Fraser Valley Metropolitan Recreation District. When its reimagined, updated and expanded playground opens later this spring, there will truly be “a little something for everyone,” he said. 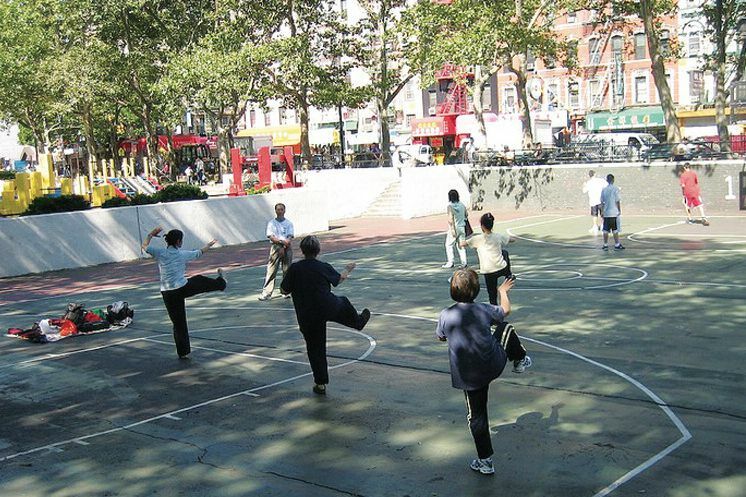 Whether they’re walking their dogs, doing tai chi, having movie night or playing a pickup game of some variety, New Yorkers of all ages know how to get the most out of their parks, which make them a great example for the rest of us. “People Make Parks helps foster this [collective use] by providing channels for individuals and community groups to inform the designs of their local parks and playgrounds to reflect their needs,” Nemetz explained. Serving a wide spectrum of people is a great opportunity for collaboration, so look for ways to join forces with other groups in your community. Southminster and Mecklenburg County Park and Recreation have accomplished a lot more together than they would have separately in Charlotte, N.C. And in Labelle, Fla., the committee formed to fund-raise for Zachary Reyna Park included city and county grant-writing specialists, civic and philanthropic leaders, and friends of the Reyna family, whose son Zach is the park’s namesake. Together with local businesses, this group pooled their efforts and have funded their playground entirely through donations and volunteer hours, reports Ramiro Rodriguez, Hendry LaBelle recreation director. A companion to the previous thought, getting as many of your constituents informed and excited and contributing to your playground project along the way will pay off big in the end. Labelle, Fla., relied not just on the playground committee, but asked everyone in the community to contribute ideas, and local school children raised money to honor the memory of their friend. “Zach could really bring people together, and I don’t think they’d ever come together like they did when he was sick,” said Marlena Lopez of the Hendry LaBelle Recreation Department. A small town, Labelle doesn’t have movie theaters or bowling alleys. “We have parks and grass,” she said. And the work they did together on their award-winning multigenerational playground gives the place special meaning. Although it can be challenging to bring together the disparate, and perhaps even competing, interests of many different potential playground users, it’s an important process “so the end result is as inclusive as possible, and everyone feels like their voice was heard,” said People Make Parks’ Nemetz. The results, such as the Hester Street Playground in New York’s Chinatown, are steeped in local culture, beloved, and well-used by people of all ages and interests. Lofty ideals aside, there are also practical components that will make your goal of all ages engaged and enjoying more feasible. The longer people stay in a playground or park space, the better chance there is for interaction, so include some comfort amenities to make your park a pleasant spot. “We will have benches around the playground and shade structures for parents or grandparents to sit and relax while kids are playing,” noted Fraser Valley’s Ledin. Adding an exercise element for adults may make them even more likely to bring the whole family and stay a while. 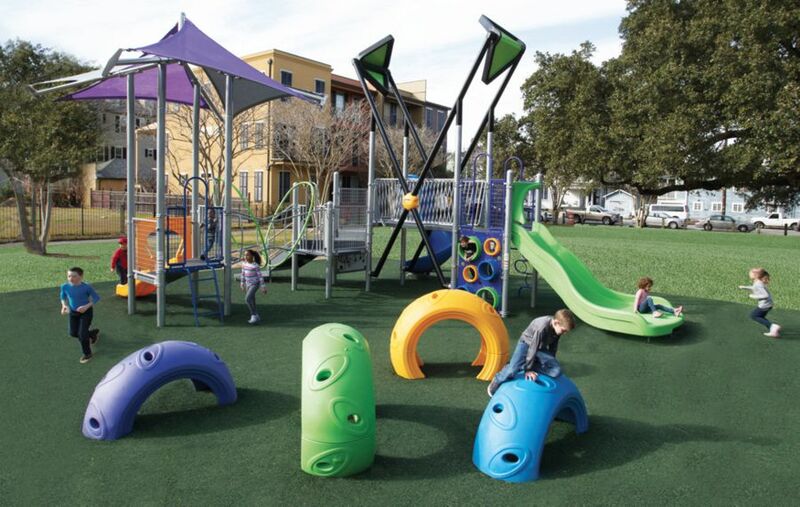 With the exercise equipment included at Labelle’s Zachary Reyna Park, “adults can enjoy themselves so kids can stay longer at the playground. Even grandparents are coming out to enjoy it,” Rodriguez said. He also notes that they positioned the playground beneath a natural shade canopy of trees, and they plan to get shade coverings for the exercise equipment as well. After seeing the success of the Marion Diehl Playground, Mecklenburg County Parks and Recreation plans to incorporate more “fit zones” with outdoor fitness equipment into other parks in the community, said Division Director Terri Stowers, upping their multigenerational appeal. And Ledin noted that the town of Winter Park, Colo., added outdoor exercise stations along a linear recreation path a couple of years ago and has received positive feedback. “We’re an active community… with an even-more-active-than-average senior population, so we’re always trying to find something for all ages,” he said. 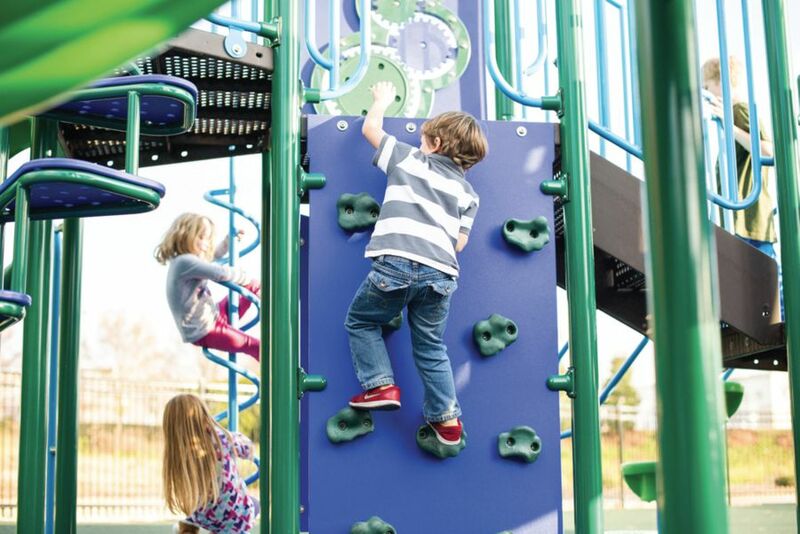 Include an educational component: Physical challenge isn’t the only way your playground can connect with its users. Including educational elements that exercise the brain and provide a chance for visitors to learn something new or see their community’s history celebrated can be a great way to make your play space more interesting to a variety of ages, more connected to the community, and just a little different than the other places to play in the area. History to explore, games to play, and signs to read are also activities that young and old can do together, enhancing the experience of both. To this end, the Fraser Valley Sports Complex playground features play pieces shaped like a stagecoach, a mill, Native American teepees, and a replica of the Fraser Mercantile Building, which has stood in town for 100 years. Each of these celebrates a part of Fraser Valley’s history, and four signs installed on the playground will offer historical information to visitors. Marion Diehl playground includes a fairytale structure that speaks to those playing on it in a variety of languages, providing a way for kids, caregivers and teachers to play and learn together, noted Southminster’s McGinnis. Design for all abilities, as well as all ages: Creating inclusive spaces is another essential for bringing communities together, so be sure you consider the range of abilities among your constituents, as well as the range of ages. Southminster worked with UNC Charlotte’s Department of Gerontology and Kinesiology to identify the best types of equipment for assorted ages and abilities, as well as create programming and research long-term for the project, McGinnis explained. They also made sure the path around the play area is accessible to those with physical disabilities. 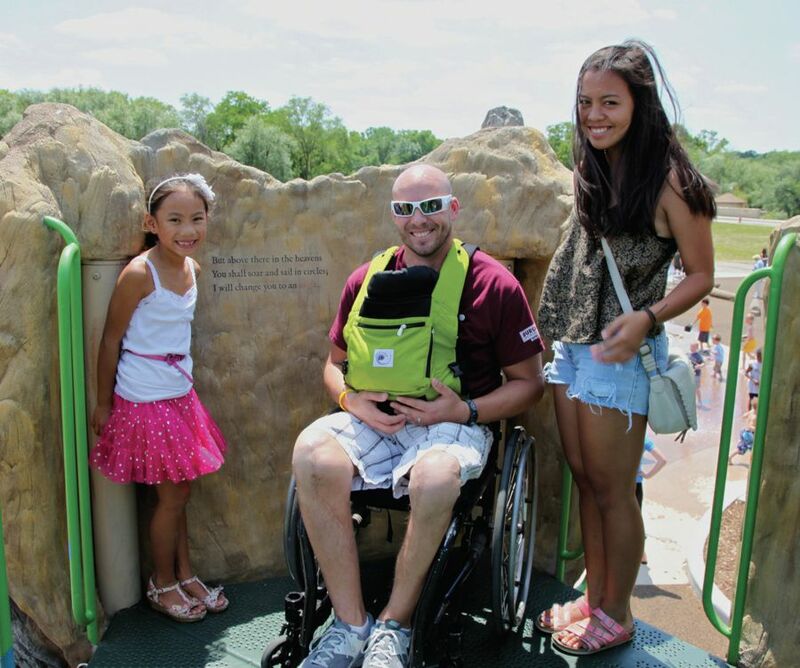 And in Milwaukee, Wis., the Miracle League of Milwaukee facility includes not only an accessible baseball field but an inclusive playground, both designed to accommodate those in wheelchairs. This makes their facility not just multigenerational but broadly inclusive as well. Remember that adults like to play, too: “I’m 58, but I still act like a kid,” said Hendry Labelle’s Rodriguez. “I want to be out there playing.” So when they started talking about designing a playground, he made sure it would be fun for “age 2 to 102,” he explained. Often the solution for including adults is outdoor exercise equipment, but older playground visitors may want to enjoy the play features as well. 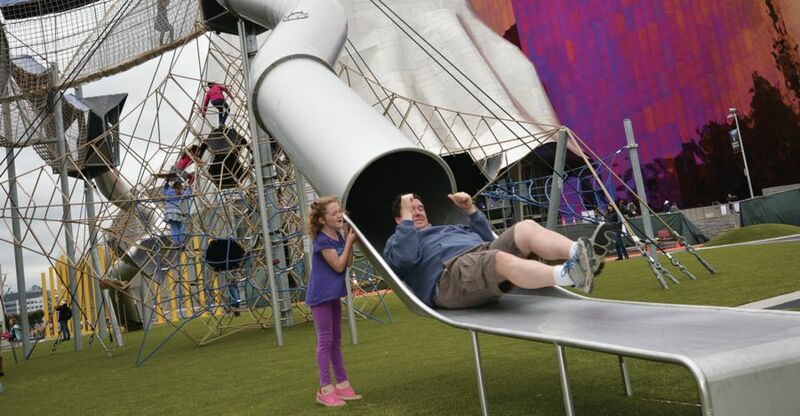 “Swings, zip lines, large climbing nets and slides can be great options for adults,” Burlingame said. Ball courts are also likely to be appreciated by all ages. If you plan to invite those over age 12, though, make sure the play equipment you choose is safety-rated for bigger, heavier bodies and perhaps adjusted for their comfort. Flat-seated swings or even porch swing-style gliders may be easier and more pleasant for adults and seniors to use. However you decide to approach your project—from the ground up or by adding features to existing parks and play spaces—know that expanding the appeal and inclusiveness of your playgrounds has a wealth of benefits. And as long as you engage the community and plan wisely, there are no real downsides. “When people of all ages can come together in a park or playground, the foundation is set for these spaces to become safe sites of community building, cultural exchange and civic engage ment,” said People Make Parks’ Nemetz. The more citizens enjoy their parks and playgrounds, the more invested in them they become, making them more likely to take good care of them over the long term. And by providing a place where kids, adults and seniors can be active and healthy together, you’ll be caring for your community over the long term as well. 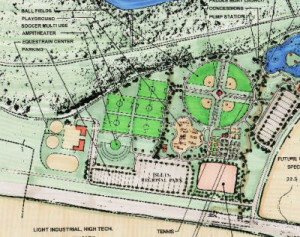 Bay County commissioners approve final land-use development plan for new Multi-Sports Sportspark ! 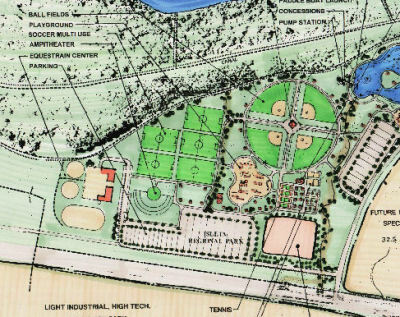 BAY COUNTY, Fla. – Tuesday, Bay County commissioners gave the green light regarding the final land-use and zoning plan for the new sports park development. The project, which will be developed on 1,250 acres of land, is located between Wildwood Road and Breakfast Point Boulevard in Panama City Beach. Both the state and Bay County commissioners approved the plan that will allow the St. Joe Company to develop more than 800 acres of land into dozens of residential and multi-family units, as well as retail space. Plans for the development also include office spaces, new elementary schools and a possible fire station. As of now it appears that only one area will be the access point to the development. Officials say that will soon change they’re looking into areas of where to put other ones. Sports park opens in Mesa, AZ. in partnership with Cubs ! Mesa’s Fiesta Sports Park opens at 936 S. Extension Road. 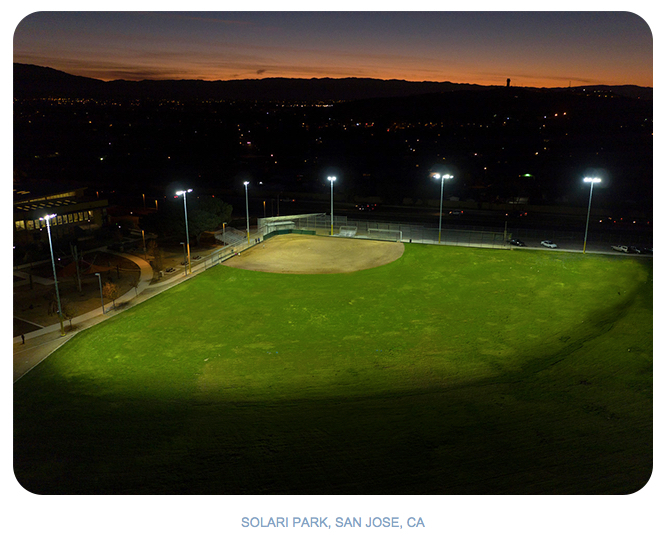 The park includes four new ballfields for youth baseball and softball and a multi-use field with bleachers and Chicago Cubs-branded signage and scoreboard. The four ballfields are named after Cubs Hall of Fame players: Fergie Jenkins, Ron Santo, Ernie Banks and Billy Williams. The Chicago Cubs Charities and the Mesa Hohokam Foundation donated $100,000 to sponsor Fiesta Sports Park. Fiesta Sports Park is open from sunrise to 10 p.m. For more information, visit mesaaz.gov/parksrec. Good times in store for Sports Park In Amesbury ! AMESBURY, MA. 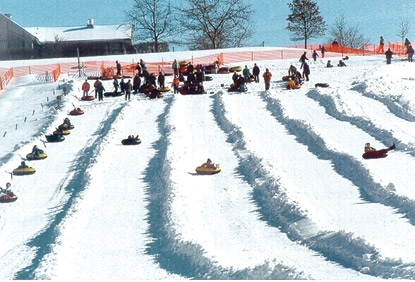 — New England Sports Park director of operations Tim Mack can make all the snow he wants, but he knows, unless there’s snow in people’s yards, they never think to go snow tubing on his 750-foot hill. Thanks to a seasonably cold winter which has produced just enough snow for people to get into the mood, Mack said he has been hosting almost 1,200 snow tubers a day for the past week. A Groveland native, Mack opened the Sports Park on Dec. 22 and demand has been keeping his 40-member crew busy enough to keep the snow tubing operation going until mid-March. But with a $30 million ice hockey facility scheduled to be built just behind the sports park by Global Property Developers Corp., both Mack and park supervisor Ryan Collins know the good times on South Hunt Road may just be beginning. An Amesbury native himself, Collins grew up playing hockey from Mites all the way to college and is excited about the prospect of six NHL-sized ice rinks coming to his hometown. Collins frequented New England Sports Center in Marlborough when he was growing up. Although the Marlborough facility also has six rinks, he thinks there are very few places that can match the 300,000-square-foot complex coming to Amesbury. Having overseen the New England Sports Park’s snow tubing for the past eight years, Mack spoke from experience when he said that sitting between I-495 and I-95, South Hunt Road can draw a crowd. Initially owned by former Boston Bruins defenseman Brad Park and Ted Dipple, what was known as the Amesbury Sports Park began as a golf driving range in the summer and a snow tubing hill in the winter in the early 1990s. Dipple leases the park’s hill each winter from current owner Seacoast United. With eight snow guns going for 60 hours straight to start each season, Mack said it makes quite a sight for drivers on I-495. With the park only able to operate for a little under a month during last year’s mild winter, both Mack and Collins said they are happy to very busy this winter.